Despite the obvious development of international relationships, most of the countries on the globe still have visa regime. Russian-German situation isn’t an exception so in order to cross these borders, you have to obtain a visa in the appropriate consular bodies. In the article presented below, you can find all the information about getting a Russian visa and its cost for German. The purposes that you indicate will influence the procedure of getting a visa as well as the duration of your permission to enter. Certain visa types may require extra documents (such as work permission for a work visa or travel document for a transit visa). How much do you need to pay in case if you are planning to visit Russia more than once? That means the much higher price of the issuance – EUR 254 and EUR 508 respectively. If you use services of the Visa Center you also need to pay service fee. In order to have an opportunity to visit Russia for tourist purposes, you need to apply for a tourist visa. In this case the permission’s duration won’t exceed 30 days, however, you can obtain either single or multiple-entry visa. The legal visa regime (for all types of visa, including tourist one) implies the obligation for foreigners to register with the MIA authorities or in a hotel. The disobeying will lead to legal responsibility, fine and following expulsion from the country. Also, the infringer’s data will be entered into the database of migration authorities and can become the ground for refuse when re-applying for a visa in the future. Visa issuance starts with getting an invitation from the receiving party. That’s the document, which provides you with the opportunity to apply for a visa to the consulate. Obtaining of an invitation is the key point for a tourist trip. Without it, you will not just get a denial of entry but your document package won’t be considered. 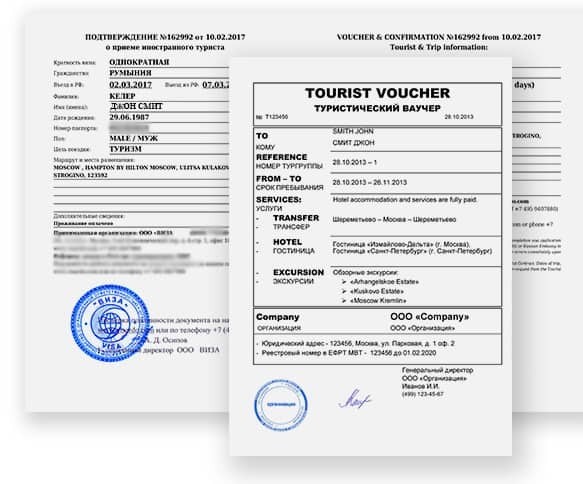 A tourist invitation includes voucher and a confirmation. 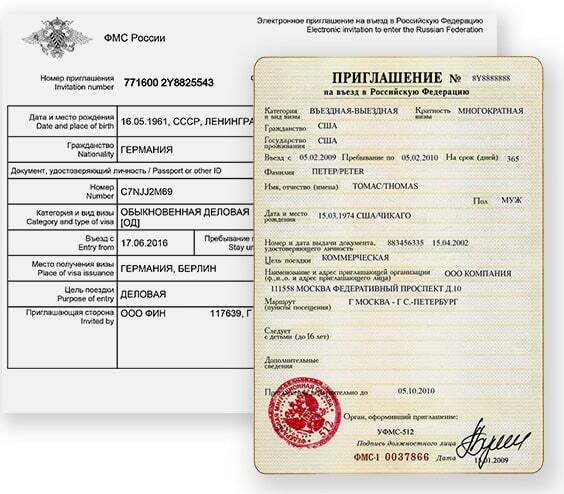 These documents prove the fact of having a tourist services contract as well as having a place to stay in Russia. An invitation can be arranged at the same time as getting a tourist product so that German national can apply to a consulate immediately. If you need to get an invitation quickly, ask our consultants for help. We provide you both with all the documentation necessary and assistance on every stage of the process. All you need to do is to fill in the form on our web or call our specialists. The tourist invitation’s data will be used while filling out the profile. That’s why it’s so important to pay special attention to this item. You can’t use private visa for other purposes such as tourism or working or you will be charged by law. Guaranteed obligation to provide foreigner with a residence and both medical and material insurance for the whole trip’s duration. An invitation is issued on official letterhead of the AFMS. The foreigner can receive it in copy or in original. After getting it the German national can apply for a visa to a consular body. Our company offers a full package of services including help in arrangement of an invitation. We can secure the fast-track arrangement if needed and assist you in all stages of visa issuance. 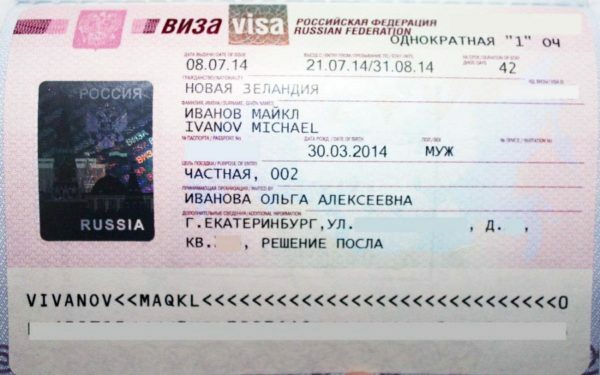 For one-time or multiple business trips you need to issue business Russian visa. The business invitation from Russian party is the basis for a visa application. Pay attention! Business visa can be issued for a period up to one year, sometimes even up to 3 or 5 years (with the obligation to prolong it annually). In order to know more about the legal regime of business visa, we advise you to consult with our specialists. The business invitation can be issued by several ways. The particular method is chosen depending on circumstances. One of the most efficient options is to issue a business invitation in the form of the receiving party. In order to do it, the organization needs to be accredited by the MIA bodies preliminarily. This procedure is most important for companies that maintain permanent contacts with foreign businessmen. While getting such type of invitation you don’t need to apply to the AFMS authorities because they will get all requested information about invitation through internal channels. The form of the letter is sent to foreigner’s post address so he/she can present in into the consulate and obtain a visa. The standard procedure of getting a business invitation implies applying to the AFMS authorities. In this case, an applicant provides a usual document package declaring purposes and timing of the alleged visit of a German national. After document verification, the business invitation will be issued in the form of the AFMS. This paper should be presented when you are applying for a visa to the Russian consulate. German can get a business visa to Russia presenting a business invitation received by the consular department by special Telex channel. In this case, the verification of documents will be carried out by the authorized RF MFA services. The business invitation isn’t being delivered to the applicant. Instead of it the invitation goes directly to particular RF consulate in Germany. Businessman needs to provide full document package to consulate’s employees. Our company will help you to issue an invitation by any of the methods above. In order to get our assistance, you need to fill in the feedback form on our web indicating foreigner’s personal data. One of the most widespread purposes is an employment in Russian companies. Labour and migration legislation of the RF contains significant restrictions on the involvement of external specialists. That means particular problems when getting a work visa. We recommend you to solve all your employment issues both legally and efficiently. Our company may assist you while obtaining a work invitation and getting a job permission. Just after these actions, you can apply to the AFMS for a work invitation. Work visas are being opened for up to one year with an opportunity to prolong them. If you need to go through all the formalities quickly and achieve success in getting work invitation, ask our consultants for assistance. With our help, you will choose optimal way of invitation’s issuance and arrange all the documents necessary for hiring a German national. Address: Unter den Linden 63–65, 10117 Berlin. Phone number: (8-10-49-30) 229-11-10, 229-11-29. Address: Konsulat Abteilung: Behrenstrasse 66, 10117 Berlin. Reception hours: From Monday till Friday – 9.00 a.m. – 1.00 p.m. Address: 53177 Bonn, Waldstrasse, 42. Reception hours: From Monday till Friday – 8.30 a.m. – 1.00 p.m. Phone number: (8-10-49-40) 229-52-01, 229-53-01. Address: 04155 Leipzig, Turmgutstrasse 1. Phone number: (8-10-49-341) 585-18-76, 590-29-23. Address: D-81675 München, Maria-Theresia-Strasse 17. (8-10-49-89) 595-715 (commander on duty). Address: 60318 Frankfurt am Main, Eschenheimer Anlage 33–34. Reception of the visitors — 60318 Frankfurt am Main, Öderweg 16/18. Phone number: (8-10-49-69) 596-74-503, 596-74-231.